Manifest Investing is a web-based investing system including research and features/tools for stock and fund screening as well as resources for portfolio design and management. The community and content stream generates a continuous flow of actionable ideas. We seek and deliver “elegant simplicity” by focusing on a small number of factors and characteristics that really matter. Features and regular webcasts feature demonstrations of analysis and methods. Our focus is on demystifying investing — particularly when it comes to the design and management of a portfolio — enabling anyone to experience successful investing with their personal investing or retirement plans. We endorse and encourage investment clubs as vehicles for support and group learning. Ken Kavula (kkavula1@comcast.net) has served the modern investment club movement in a wide variety of leadership volunteer positions. A retired educator, he is regarded as a small company champion and respected speaker nationwide. Ken also belongs to four investment clubs, including two Model clubs and a family club. Cy Lynch (celynch@att.net) is a respected and experienced long-term investor and educator. Cy is a frequent contributor at MANIFEST, providing regular educational topics and a knight of the Round Table series. 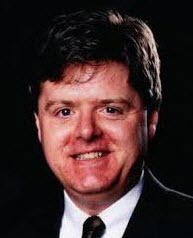 Hugh McManus (hughmcmanus@gmail.com) is a pharmaceutical scientist, successful long-term investor and renowned advocate at investment education conferences. A frequent contributor to MANIFEST, Hugh is also a knight, participating in our Round Table series.